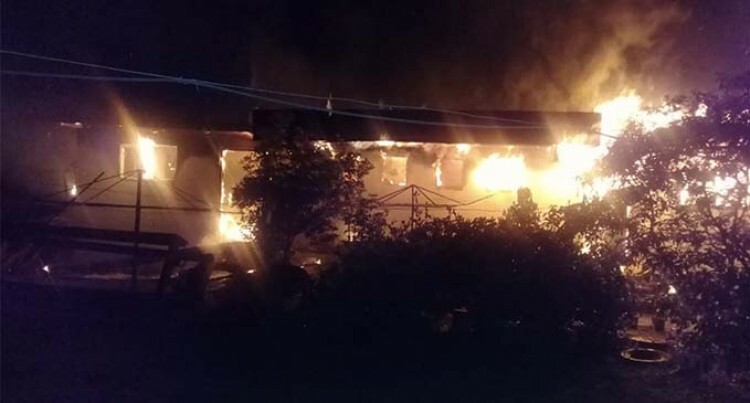 An early morning fire in Sanasana, Naisoso, Nadi has completely destroyed the home of a 50 year old woman of Legalega, Nadi. The fire allegedly started from an empty flat. An early morning fire in Sanasana, Naisoso, Nadi has completely destroyed the home of a 50 year old woman of Legalega, Nadi. The fire allegedly started from an empty flat. National Fire Authority officers attended to the scene and a joint investigation is now underway.